Bank Policies and Procedures: A Working Guide to Regulatory Compliance guides effective accuracy in key bank functions with sample bank policies and examples. 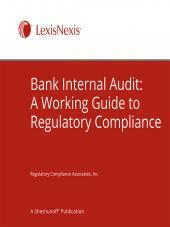 Regulatory compliance costs the banking industry hundreds of millions of dollars every year. And now the new risk management guidelines mandate that you have policies and procedures for everything from credit risk to liquidity risk. Even interest rate and legal risks must have their own policies and procedures. Bank Policies and Procedures: A Working Guide to Regulatory Compliance is your blueprint for developing and implementing the policies and procedures mandated by the regulators. Sample policies and procedures for every key area of the bank help save hours of time and help ensure that your bank has effective, proven policies and procedures that have been implemented by banks just like yours. 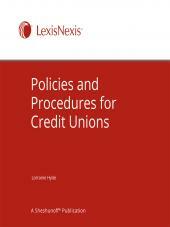 The Bank Policies and Procedures manual has been structured to meet the needs of different users — from policy and procedure developers to those supervising or evaluating the work of others.  Policy and procedure developers will find that this book will help them to organize their approach to bank policy and to ensure that specific areas are covered and analyzed during the policy and procedure development process. For those managing the development process, bank policies and procedures examples in this manual will help in reviewing the effectiveness and adequacy of your bank policies and procedures— whether you are testing to see if a particular area is covered by a policy, determining whether a policy contains the information required, assessing the scope of a procedure, or ensuring that a policy meets the requirements of regulatory agency examiners. Subscribers will receive a downloadable file containing editable policies and procedures. Lorraine Hyde is a financial institution consultant who provides regulatory compliance advice to community banks, thrifts, and credit unions. She has over 20 years of general banking experience, 15 years of regulatory compliance consulting experience, and has worked in various capacities for a large regional bank, the FDIC, and a national accounting firm.